Afshin Rattansi goes underground about the time WikiLeaks met Google. 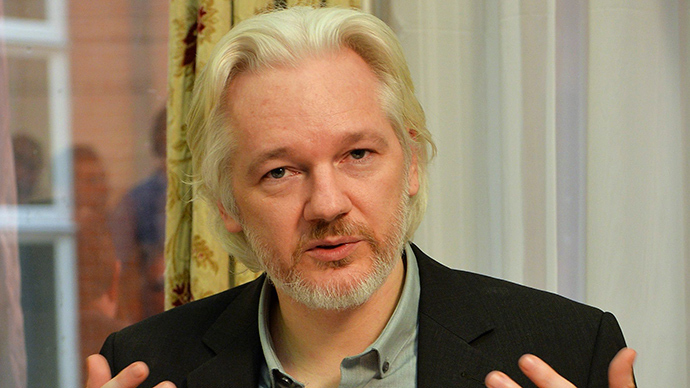 Julian Assange discusses the meeting he had in 2011 with Eric Schmidt and three others. Schmidt, now chairman of Google, was then a top executive. Assange maintains Google is in bed with the state department and also reveals the false allegations the US military made against WikiLeaks, which surfaced during the Chelsea Manning trial. Assange talks about Guardian gaffs, Glenn Greenwald, FinFisher spyware and the NSA’s rampant antics. The interview reveals 'an extremely alarming phenomenon': how more and more security-cleared Americans are joining the ranks of the 'state within a state' – 6 million to date. The interview wraps up with a discussion about the likely consequences for Scotland after the ‘No’ vote in their historic referendum.